Many of the attendees of the Summit and the Leadership Talks asked if we are going to share the speaker presentations. We are happy that the enthusiasm for going forward is strong and that the speakers were glad to share their presentations with everyone. We are delighted for having received many encouraging remarks from participants at the Macedonia Economic Summit and we want to thank all of you who made this event materialize in the quality that it did. The Summit hosted around 300 participants and additional 400 students and young entrepreneurs at the free Leadership Talks event. Over the two main days of the Summit there were eight panel discussions featuring 38 speakers coming from more than 17 countries, including Albania, Austria, Australia, Hong Kong, Croatia, Poland, Serbia, Sweden, United Kingdom and the United States. The speakers represented many sectors, including finance and banking, consumer electronics, IT, tourism, mobile, agriculture, management and health. In addition to the panel discussions the Summit had off-site Gala reception and a community-outreach event titled Climb with the Leaders to mount Vodno, attended by 80 participants. 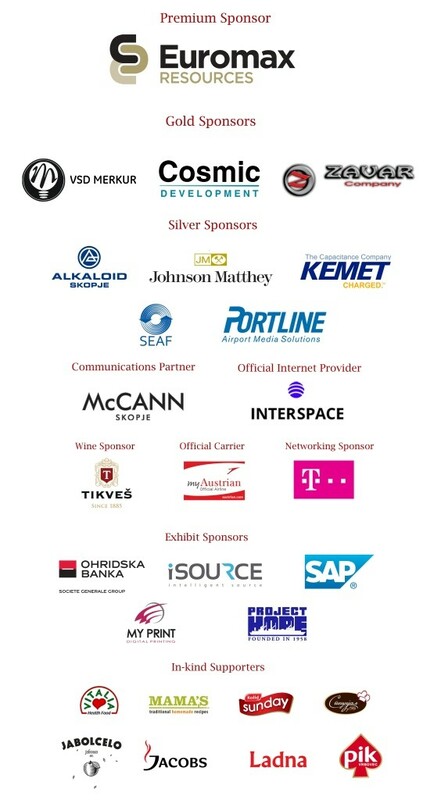 The Summit was supported by 13 organizations, 14 media outlets and 27 sponsors. All relevant national TV stations reported on the event and broadcasted interviews with a number of the Summit’s speakers. The organizing team was made of 6 team members and additional 6 staff. 69 % of the respondents said there are Very Satisfied and 20% said they are Satisfied with the Panel Sessions, adding to a 89% rate of satisfaction. Regarding the relevancy of the topics, 44% of the participant said they were Very Satisfied and 38% Satisfied, combining for 81% satisfaction; 15% responded “Neutral”. 71 % of the respondents said they were Very Satisfied with the overall impact of the Macedonia Economic Summit. 24.44% said they were Satisfied. None of the respondents were Dissatisfied with any of the panel discussions. 87% were satisfied with the profile of the attendees. 90% were satisfied with the location of the event. 59% were Very Satisfied with the cost, 14% were Satisfied and 21% voted “Neutral”. On the question “Would you recommend the Summit to people in your professional network?” 95% of the respondents answered they will. All of the 14 speakers said they see a possibility for themselves or their company to do business in Macedonia. All of the 14 speakers said they have established contacts with a company or service provider in Macedonia. All of the 14 speakers said they will recommend the summit to people in their professional network. – Big Data technology makes things a lot easier for lots of sectors. – Strong companies and state institutions need to invest in research and implementation of Big Data. – The customer of today wants to pay for a journey, not just a product or service. – Companies need to get closer to the individual customer. – Innovation is also about sustainability. Companies have responsibility in front of communities. – Next step for Macedonian companies is to become sustainable by introducing smart design. – ICT is no longer an enabler of business – it is a business itself. – It is very possible to start an online business with $50 US and develop that into a source of good income. – Put together skills and idea to develop something that doesn’t exist. – Having a small team allows companies to subcontract services with other companies in order to focus on crucial objectives. – There are companies that are working on something big, something that we are not going to believe is real. 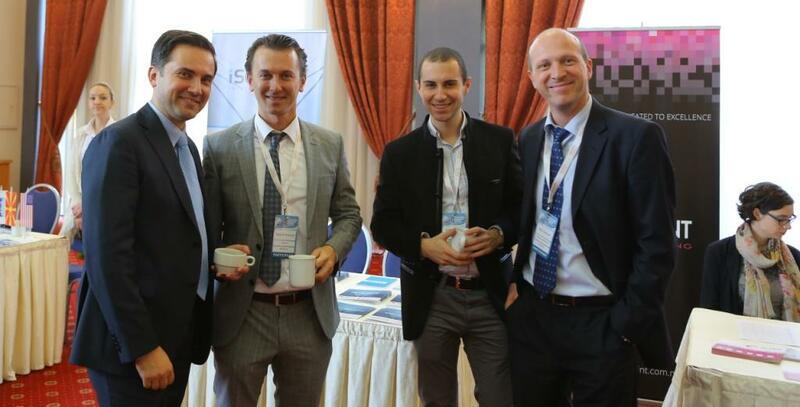 – The IT sector in Macedonia offers creative, on the spot thinking and problem solving. – The time difference between North America and Macedonia allows ICT companies to have an effective 24 hour work cycle. – Competitiveness is very important for Macedonia because most of the demand is located outside the country. – Organic production is the next competitive sector of Macedonia. Everything is in place for growth to happen. – Follow the Nation Brand hexagon to develop a strong tourism sector in Macedonia. – An increasing number of tourist operators today are aware about Macedonia. – Tourism is a sector that quickly recovers following a crisis. – Infestment in the film industry in Macedonia is considerable indirect investment in supporting industry: travel, hospitality, food and beverage, construction, fashion and so on. – Leadership is about bringing the best out of people and making things better for everyone. – Leaders show the way, teach from experience. – Leaders start leading ASAP! Those who lead start leading long before they have followers. – We need more values-based leaders in the world. – Macedonia has great leaders in the Diaspora that need to come more often and transfer their knowledge to an increasingly eager audience. – Dedicate effort and attention to setting up the starting points for international cooperation. – Experience accelerates growth and impact – tap diaspora to ‘seed’ companies with experienced overseas talent. – Increased competition spurs innovation and improvement – necessary for having dynamic sectors.